and Market Insight. And the ‘Strategic Sweet Spot’ is at the intersection of these components. Where what we want to achieve meets what we can achieve and what the market wants. It’s a small spot, often elusive ... but it’s the key to building a powerful brand strategy. Brand Ambition is what we want to achieve. It goes beyond the numbers. which will deliver financial KPI’s. It goes beyond ‘what’ the company does and ‘how’ it does it. It settles on the ‘why’ - the fundamental raison d’etre of any social undertaking. Business is, after all, a social undertaking. And successful social undertakings have a strong cultural underpinning. Brand is therefore about what matters to people. 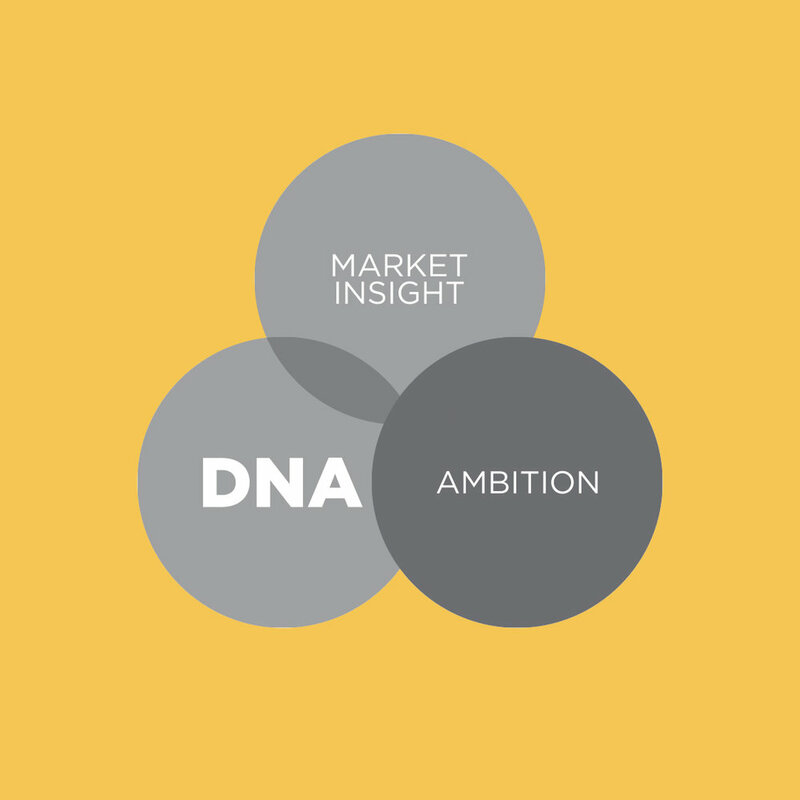 Brand DNA provides the basic building blocks for brand strategy. It’s an inventory of what the brand is capable of doing and what values it is capable of embracing. Brand DNA is relatively stable over time. As long as it is consciously managed. But unlike human DNA, it is changeable. Market Insight provides the context for brand strategy. Deep Market Insight enables powerful strategy. Market Insight uncovers the drivers within the category. 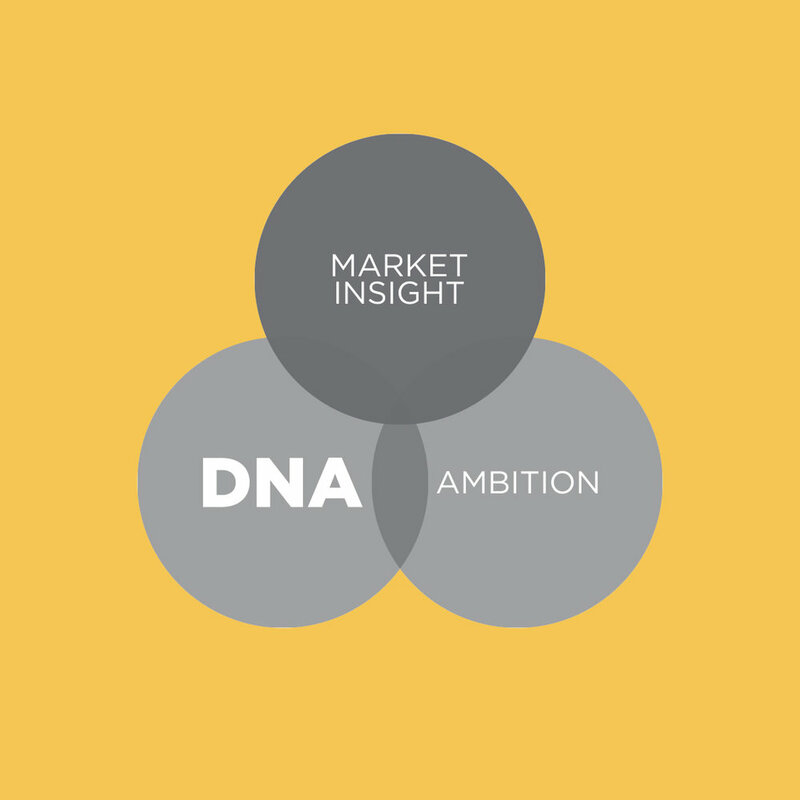 Market Insight uncovers the complexity of the buying decision making process. Market Insight should not be confused with Market Research. Insight is a combination of information and intuition. It goes way beyond generic information. With everything you say and don’t say. Everything you do and don’t do.